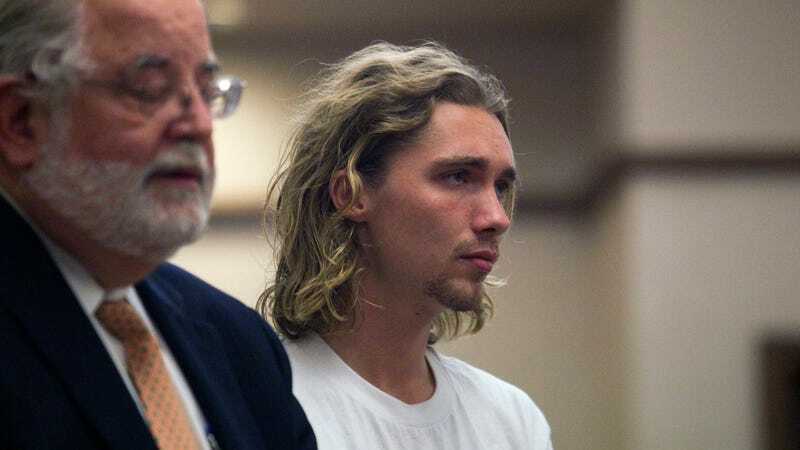 Jesse Helt, the young man Miley Cyrus took to this year's Video Music Awards in hopes of raising awareness about youth homelessness, has been sentenced to six months in jail for violating his probation. A hot minute after he took the stage to accept the "Wrecking Ball" singer's Moonman and read a speech on her behalf, Helt's checkered background came to light. He was arrested in 2010 in Oregon and instead of following his probation orders and performing his mandatory community service, Helt decided to skip out to Los Angeles because problems cease to exist when you leave their point of origin. Clearly the lesson here is do not go on national television with Miley Cyrus—helpful advice that I'm sure Robin Thicke could also attest to.